I’m here to help your voice come through clear and strong in your writing. My goal is to help you see not only the big picture but also all the tiny little details that can help bring your vision into focus. I offer a few different editing services to fit the needs of your manuscript. Have a book you want to write, but not sure how you’re going to do it? I can help. My favorite thing to do is coach writers through the content creation process. If you’re feeling overwhelmed by the thought of figuring out how the difference between pantsing and plotting, whether you should have an outline before you start, or how many words you need to generate to tell the story you’re trying to tell, you probably need a book coach. I can help make the process more manageable, provide motivation and helpful resources as you find the shape of your story, and give you encouragement and feedback as you find your voice and your particular writing style. Maybe you already have a manuscript that you’ve revised once or twice. You know it’s not “right” yet, but you don’t know what to do with it next. In a developmental edit, I take a deep, critical look at your writing. I assure that your voice is consistent, your characters are multi-dimensional, and your plot is air-tight. 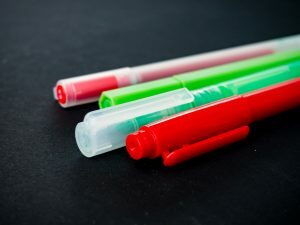 This process often involves line-editing, where I may rewrite portions of the text to fix any problems or to illustrate the direction I think you should take when you begin your next draft. By this point, you’ve gotten the plot, characterization, and structure correct and so I’ll only point out the most glaring developmental errors. This phase focuses on the grammar, spelling, and punctuation, and makes sure that your text conforms to the industry standards. Not to be confused with copy editing, proofreading is the lightest kind of editing out there. If developmental editing is a bulldozer and copy editing is a machete, proofreading is the feather duster of edits. In a proofread, my job is not to question usage or structure. I will check for typos and formatting mistakes, to make sure that there’s a period where a period should be and that you spelled “hodmandod” correctly. An editorial overview works best on a manuscript that has already been heavily edited and reviewed by critique partners. I will read your manuscript and write an in-depth report, evaluating your manuscript’s character development, narrative arc, plot, and pacing. I will highlight areas of weakness, and help you build on your manuscript’s strengths. In an editorial overview, I do not alter the manuscript in any way.